Newer country home for sale in Missouri Ozarks. 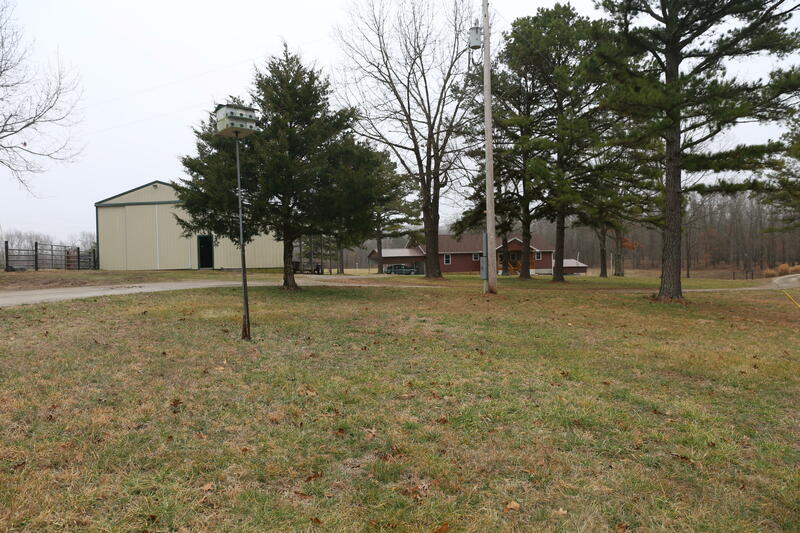 This country home sits on 70 acres with cross fencing, 30 open and 40 wooded. There is a beautiful panoramic view of the outdoors including a pond. The inside of the home consists of gorgeous hickory hardwood flooring throughout and vaulted ceilings. There are lots of windows and a sunroom allowing for a perfect amount of natural lighting in the home. The open floor plan and fireplace gives this home a comforting cozy environment. There is a large open kitchen with two ovens and an island with seating. Downstairs you will find a walkout basement that has been plumed for a bathroom and includes a John Deere room. Attached is a 1 car garage. Outside the home is a spacious shop with an attached carport.